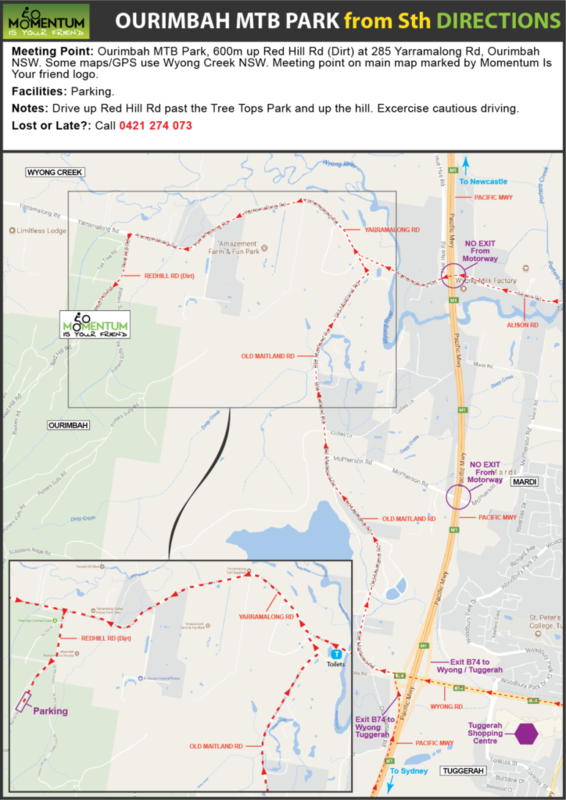 Downloadable maps and information for our Ourimbah MTB Park location. The Ourimbah MTB Park is built and maintained by the Central Coast Mountain Bike Club (CCMTB) and features a Cross Country trail through changing terrain, and Downhill/Gravity tracks. Ourimbah MTB Park, approx 600m up Red Hill Rd (drive on dirt road past the Tree Tops Adventure Park) at 275 Yarramalong Rd, Ourimbah NSW. 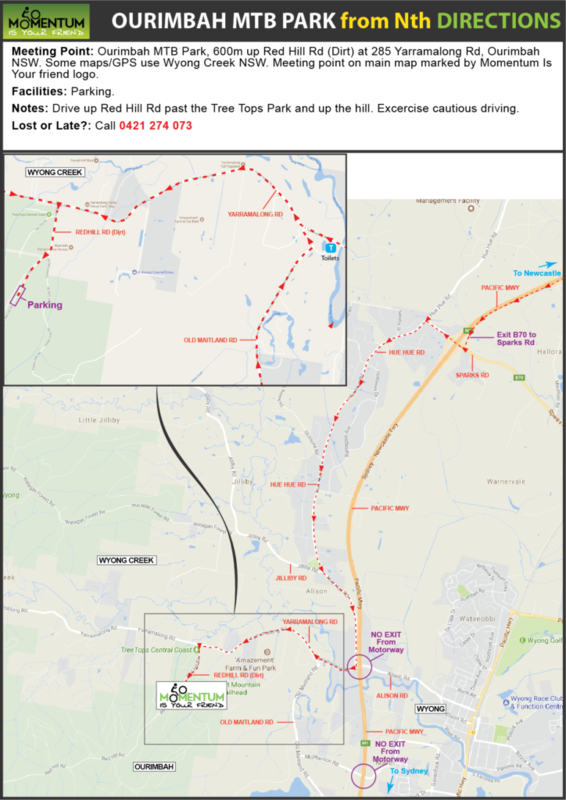 Some maps/GPS use Wyong Creek NSW. Meeting point on map marked by Momentum Is Your friend logo. Red Hill Rd slippery when wet, exercise cautious driving.